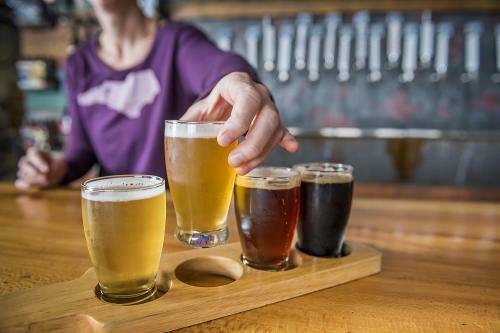 Asheville’s beer scene has been legendary for more than 10 years, and, with 35+ craft breweries, it ranks among the cities with most breweries per capita in the U.S. 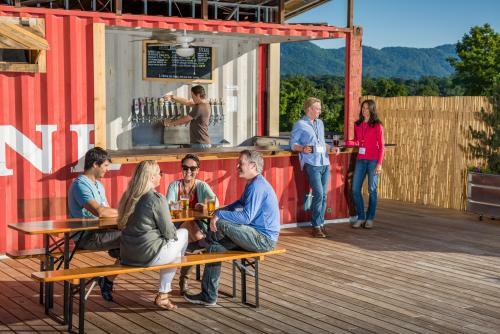 In addition to being a national beer powerhouse, Asheville is considered a “Destination on the Rise for Meetings” and a “Top Incentive Destination in the World". Meeting planners will be a hit if they incorporate unique beer experiences into itineraries for conferences, retreats or other corporate events held in Beer City USA. 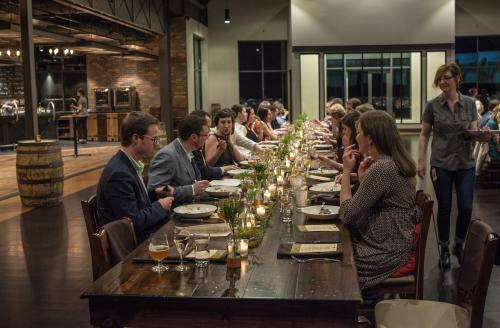 To help, we’ve collected a list of Asheville-area breweries that have private event spaces perfect for a party, reception, or educational experience, such as a beer pairing dinner or expert-led tasting. We’ve also rounded up breweries that offer private tours for groups where attendees will get the VIP treatment and plenty of samples. 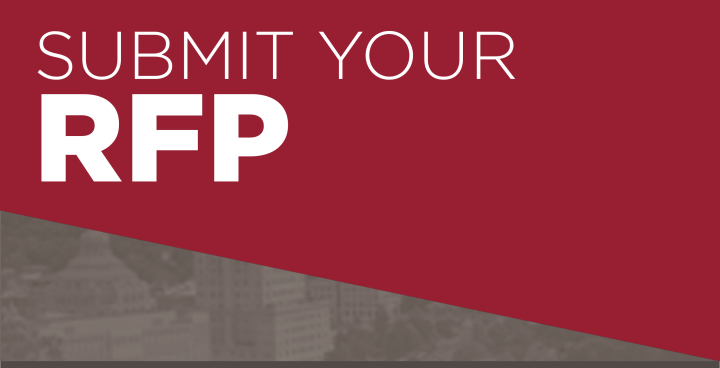 So, for any Asheville meeting, consider tapping into one of our greatest resources —our amazing beer scene and talented brewers! 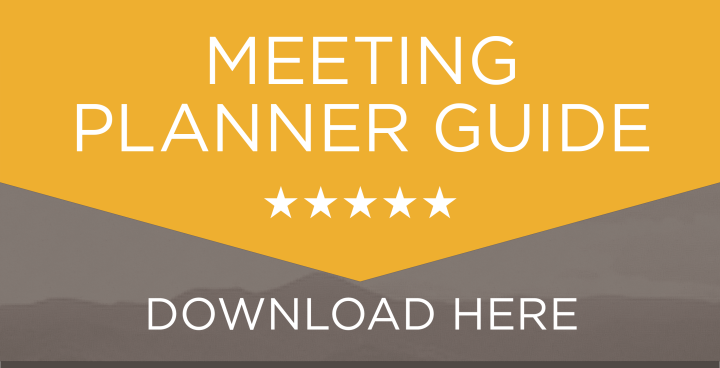 Want to wow your meeting attendees? Consider planning an offsite event away from the conference hotel at one of our beautiful, quirky (or both!) breweries to give everyone a taste of authentic Asheville. 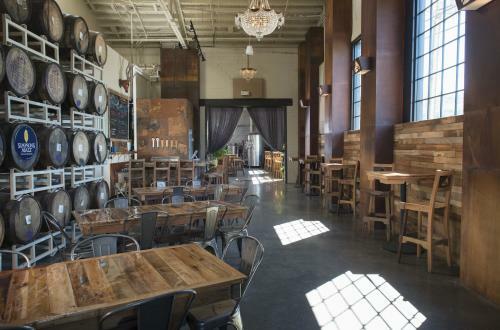 This industrial space in the South Slope of downtown has an upscale vibe and hosts about 60 private events per year. They’ll provide a list of preferred caterers and tables with black linens. A projector is available for groups to use, but no tours of the brewery are offered unless booked directly with a brewery tour company (see section about brewery tours below). This circus-themed brewery sits in Biltmore Village and has an on-site food truck that caters 99% of their private events in an open-roof back patio. Tours can be included for 15 guests at a time, and full brewery shutdowns are possible a few times per year on Saturdays or Sundays. Highland is considered the godfather of Asheville’s beer scene. 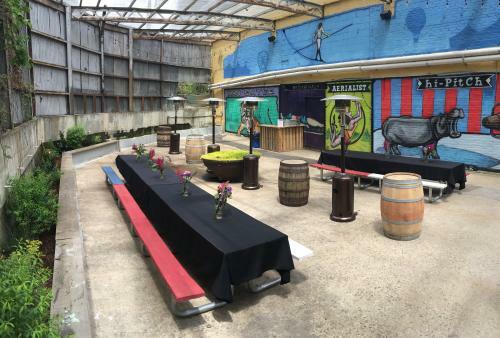 The brewery&apos;s event center has three private event spaces available at its secluded hilltop location just outside of downtown and hosts over 200 events per year. Rental includes tables, chairs, and barware, as well as a provided a list of preferred vendors. 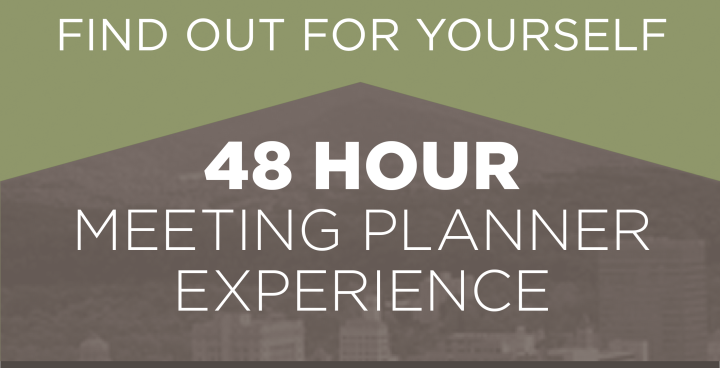 Private tours for 35-60 people (depending on time of day) can be accommodated. 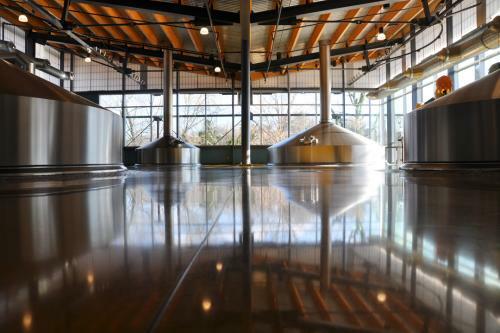 As one of the few breweries in town along the massive French Broad River, New Belgium’s industrial-meets-the-outdoors property has their Brewhouse available for rent with no catering restrictions. All events must start after 5pm, and chairs, tables, and linens must be rented through outside parties. Private group brewery tours for up to 25 guests are available, or go for the behind-the-scenes brewery tour for up to 10 guests. If you’re looking to impress your guests, it’s tough to beat the striking sustainable platinum LEED architecture, copper accents, or impeccable decor at Sierra Nevada. There is a full-service restaurant on-site, and tours can be incorporated for 25 guests at a time. Their on-site event coordinator will also book live entertainment. High Gravity room: Private lounge, bar, and balcony overlooking the property’s backyard garden, fire pits, and amphitheater. Minimum of 60 guests with capacity for 225 seats, 310 standing. Beer and buffet dinner options. Three private dining rooms for 24, 36, or 62 guests. Weekday lunch and dinner event options last 2.5 hours and offer 3 courses for lunch and 5 courses for dinner. 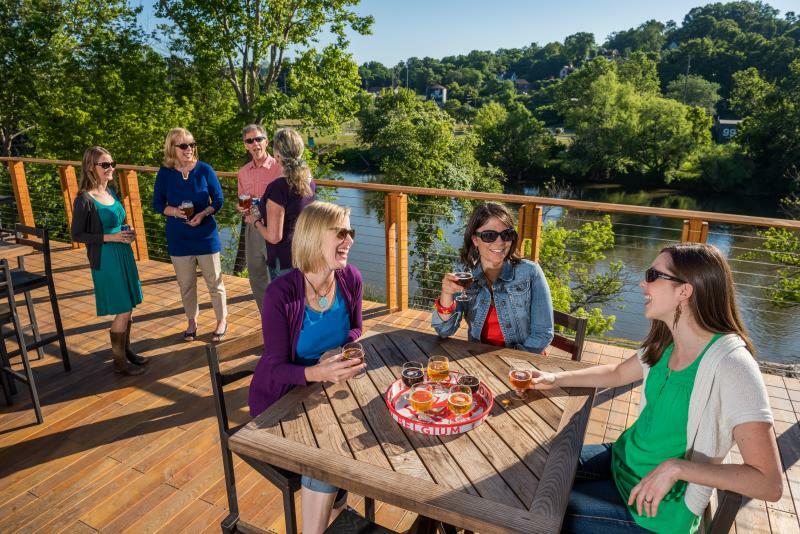 Immerse your meeting attendees in Asheville’s beer culture with a top-notch brewery tour that incorporates several breweries in one 3+ hour experience. Large groups can book through Asheville Brewery Tours, which creates custom tours for up to 150 guests for a 3-brewery, 3-hour tour (lunch or dinner can be incorporated for additional fees). Asheville Brews Cruise also allows for 100+ people with a 10-person minimum and discounts applicable depending on group size. Groups pick 3-4 breweries from the current available line-up. Brew-ed is led by a certified Cicerone and has been recognized by National Geographic Traveler as one of the top tours in the world. They can accommodate 20 people per tour for two or three brewery stops. Up to 50 people can be accommodated if split into 2 groups. Owner Cliff Mori is also available for private tastings, beer dinners, and beer menu consultation. Event space photos courtesy of Catawba Brewing Co., Lexington Avenue Brewery, Hi-Wire Brewing, New Belgium Brewing Company and Sierra Nevada Brewing Co.